I know I'm not the only one who always feel like they've forgotten something when they leave for the airport. Did I bring my passport? Have I got too many liquids? Is my passport definitely there? It happens to us all. 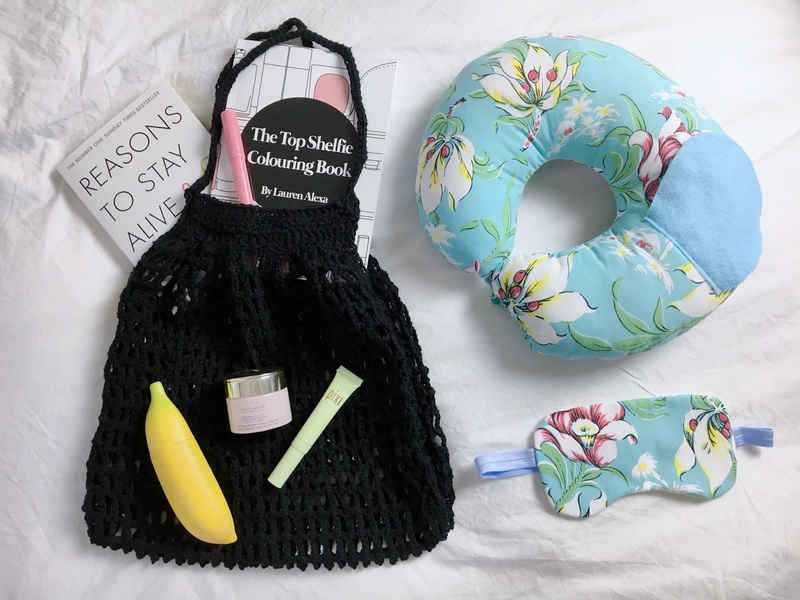 That's why I'm writing this post on what to take in your carry on hand luggage, so we've got something to remind us of the on board travel essentials, plus a few things I always recommend to take on a flight. Usually, when I fly to Europe I only tend to take hand luggage, avoiding the hold fees, which means my mini carry on case is jam packed with everything I'll need for an entire weekend, but for long haul flights you only have to carry the essentials, leaving everything else in your suitcase. This can mean a less stressful flight and more room for little on-flight luxuries. 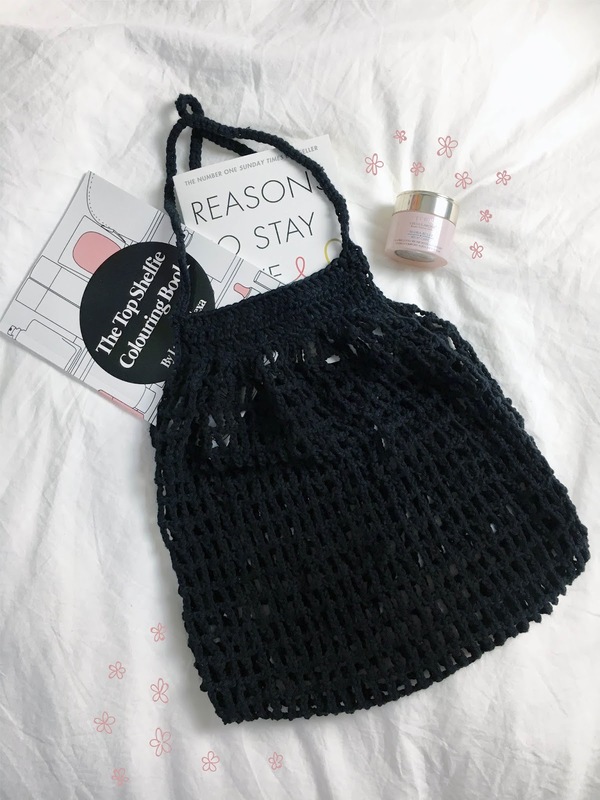 Mesh string bag is 100% cotton and hand crocheted by my mum, available to buy in her Etsy shop. One thing I always recommend people take in their carry on hand luggage is moisturiser. 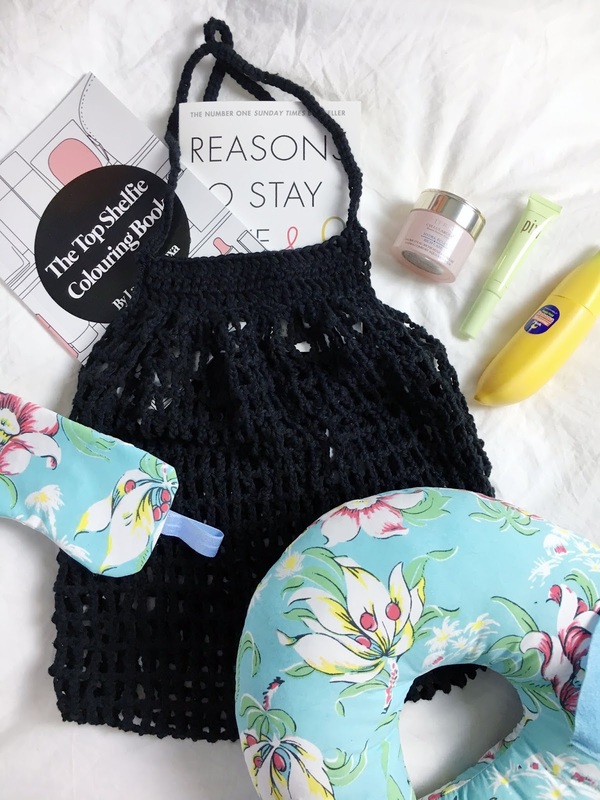 Airplane cabins can leave your skin feeling dry and dehydrated, so it's always important to keep your skin feeling as hydrated as possible, because no one wants dull looking skin on their holiday selfies, right? I'd recommend a small pot or tube of a rich moisturiser like the By Terry cellularose rich care balm or TonyMoly banana sleeping pack. And don't forget your lips! There's Pixi lip nourishing polish for that. If your skin is naturally dry anyway, like mine, it might also be a good idea to throw in a moisturising spray or face mask too. Bonus points for feeling bougie in your mask on the plane. 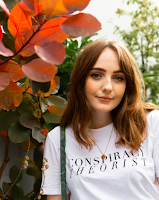 I know most people don't tend to wear makeup on long haul flights, and I can certainly understand why, but I totally relate to those that feel a little too bare without it. If you feel like you want to wear makeup, try to keep it as basic as possible, with concealer, brows and mascara. Your skin will thank you for it later. Speaking of feeling bougie and fresh, you'll always feel better if you catch a few Zs on the plane. This can feel impossible sometimes, especially if you're a fellow economy gal like me (business class I will reach you one day...), but a sleeping mask, some earbuds and a neck cushion will work wonders. Luckily my mum makes loads of sleep masks and neck pillows in her handmade travel sets... handy, eh? When you're not napping, you're gonna need some entertainment. Fingers crossed your in-flight movie selection is good, but I always take a book with me on holiday. This trip, I'm taking Matt Haig's 'how to stay alive' which is apparently very good, and something else to keep me entertained - the Top Shelfie Illustrated colouring book! I'm so proud of local gal Lauren for bringing this out, and can't wait to colour it in at 3am when I'm feeling jet lagged af.